I will go out of my way and say there is no phone like this out in the market. I can&apos;t believe how good this device is. I have never used a device which is this fast and offers such great images. If you are a selfie freak i would suggest you to buy it without any hesitation. Even if you are a gamer this phone does a job like no one does. Its 6GB RAM makes it very good and there is no lag in any heavy game. A very awesome product with less price. Literally the best selfie camera phone. I&apos;ve been using it for 3 months and have no complaints. Plus the processing is so fast and it never hangs. 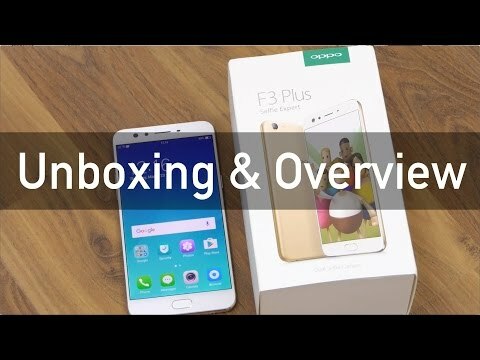 The Oppo F3 Plus is an amazing product at such a less price. The processing speed is so fast, never had a complaint regarding the hanging issue. One of the best phone in this price range. Oppo F3 Plus has balance of all sides. I have been using this for the last 2 months. Delivers an all round performance and also looks very stylish. I have been using this phone for the past 7 months and purchased it by exchanging my Oppo F1s. The phone is a beast in terms of battery performance. It lasts easily for more than a day with moderate use. Besides, both the front and rear cameras create vibrant and beautiful images. The results from the selfie camera are good even in low lighting conditions. Overall a great phone by Oppo. It would have been great had the price been a little less though. 6 Pricebaba users have written their experience with Oppo F3 Plus 6GB RAM. If you own Oppo F3 Plus 6GB RAM, please do leave your feedback too. Oppo, the China-based smartphone brand has managed to attain a strong position in the Indian market. With the F3 Plus, the company has launched another smartphone to further expand its mid-budget lineup. This offering is one of the good selfie phones currently available in the market & has to good specs to offer as well. Up front, the phone has got a large full-HD display spanning 6-inches across rocking a resolution of 1920x1080 pixels. The display manages to reach a crisp pixel density of 367PPI. For enhanced protection, the display is protected by Gorilla Glass 5. Speaking about the design, the F3 Plus has an all-metal unibody design that looks premium. The phone is equipped with a fingerprint sensor which is embedded in the home button on the front. Underneath the hood of the Oppo F3 Plus, it is powered by the Octa Core Qualcomm Snapdragon 653 processor ticking at 1.95GHz. This is combined with the Adreno 510 GPU for enhanced graphics performance. This chipset has proved its capability in terms of performance with other phones and should run just fine thanks to the 6GB of RAM that this offering from Oppo is equipped with. On the software front, this phone runs on Android 6.0 Marshmallow out of the box. In the camera department is where the Oppo F3 plus truly shines. On the front for selfies, the phone is fitted with Dual Cameras; one with a 16-megapixel sensor and the other with an 8-megapixel sensor. The 8MP sensor could be used for wide-angle group selfies whereas the 16MP sensor is most suitable for solo shots. It also comes with a screen flash for capturing images in low light conditions. On the rear side of the device, you get another 16-megapixel camera that can record videos in 4K. As far as storage is concerned, this phone ships with 64GB onboard which can further be expanded up to 256GB via a dedicated MicroSD card. Thanks to the huge footprint with a 6-inch display, Oppo F3 Plus packs in a large 4000mAh battery which offers support for Oppo's VOOC Flash charge technology. Unfortunately, since this is a metal body device, there is no wireless charging support. The Oppo F3 Plus is a Dual SIM phone that accepts Nano SIMs in both slots offering support for 4G LTE with VoLTE and below. the phone also supports WiFi, Bluetooth and GPS. Ans: Yes, this phone is compatible with Reliance Jio. Ans: The phone packs in two cameras on the front; an 8MP wide angle lens and a normal16MP which are capable of capturing good images. 3. Is the battery removable?